The plot is relayed through flashback narration (after the events you’re playing), and is the driving force for exploring Kestlebrook. Eric seems to have been the (male) narrator’s boyfriend, and he just gets up and leaves you in the middle of the night, taking the car. You get the letter, you riffle through his desk drawers to find his notebooks, and you read them on the train. What those notebooks reveal, along with what you see on your own exploration of Kestlebrook, pushes you through the woods. Combined with other gameplay elements, I was on edge for the entire game. Emmett Sherlock is the very talented voice actor who plays your character. Grizzly and weary, he tells you what happened half-reluctantly, half like he needs to tell the story. The sound design and music in general is also excellent; the music changes as you make progress through the woods, and it’s very environmentally appropriate. 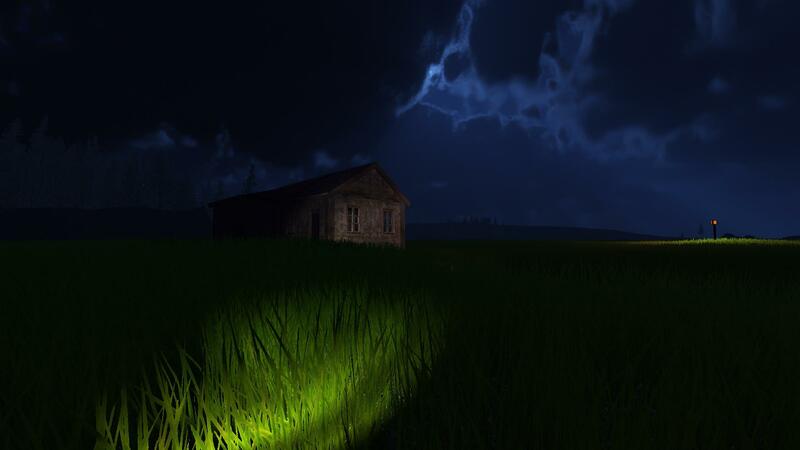 The graphics were created in Unity, and they’re very pretty. I’m playing on a high-end machine (which is what is recommended right now; support for lower-end machines is coming soon) and I found myself taking a lot of screenshots of the sky, woods, and some things I can’t tell you about. I was particularly impressed by the lighting; your flashlight – along with the torches, strange purple lights, and more – set a fantastic mood. 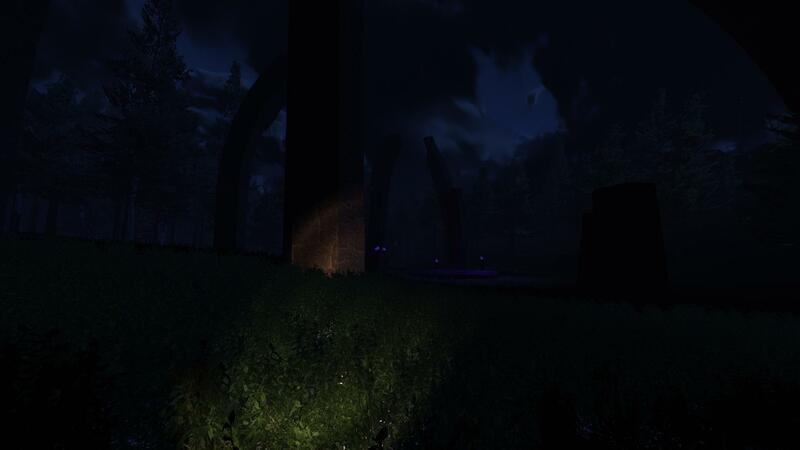 Armed only with a flashlight, you’re tasked with making your way through the woods of Kestlebrook. 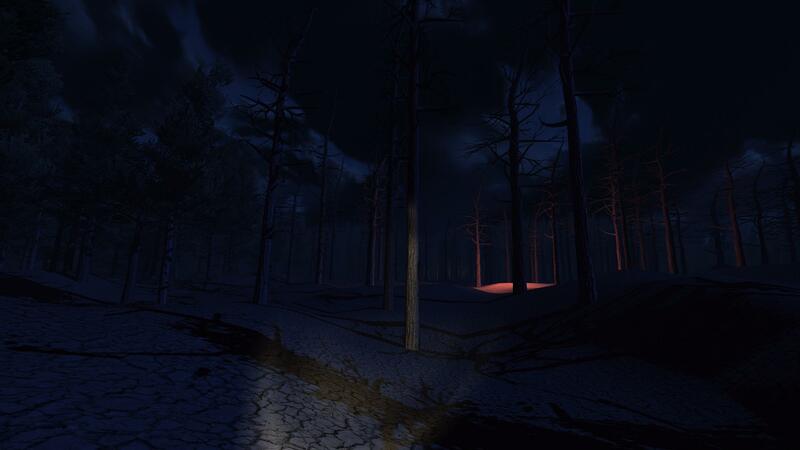 Gameplay consists only of moving through the woods, using torches (and, later, other markers) as beacons to make your way to the next bit of story from the narrator. Sometimes I found it a bit hard to navigate in the woods – sometimes I got turned around, went to a marker I’d already visited, or even missed the next marker completely and wandered aimlessly for a bit. That didn’t happen to me too much, and it did work with the oppressive atmosphere of the game. You will finish Marginalia in about 30-45 minutes, depending on how much you explore/get lost. Something I appreciated was that this game isn’t centered around jump scares. Don’t get me wrong, I like those too, but they’re so common now that it’s nice to get a game that’s more about making you feel tense and unsettled for the entire time you’re playing. 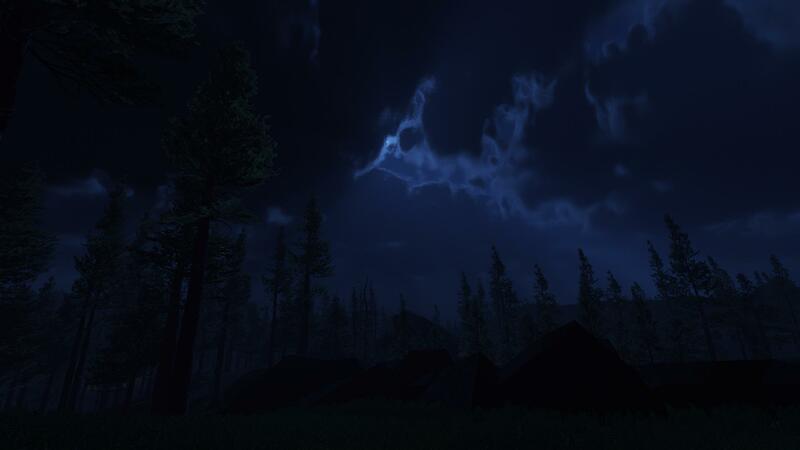 A short-and-sweet atmospheric horror game is perfect for fans of exploration, horror, and non-combat games that are all about the story. There are no jump scares, but there are intense flashing lights at one point of the game. Get Marginalia on itch.io for $5. Follow Connor on Twitter here, and follow Cameron on Twitter here. You can watch me stream the game with Andi Clare here.